Product Blitz builds custom Ideal Protein websites that are proven to convert website visitors into consultations. 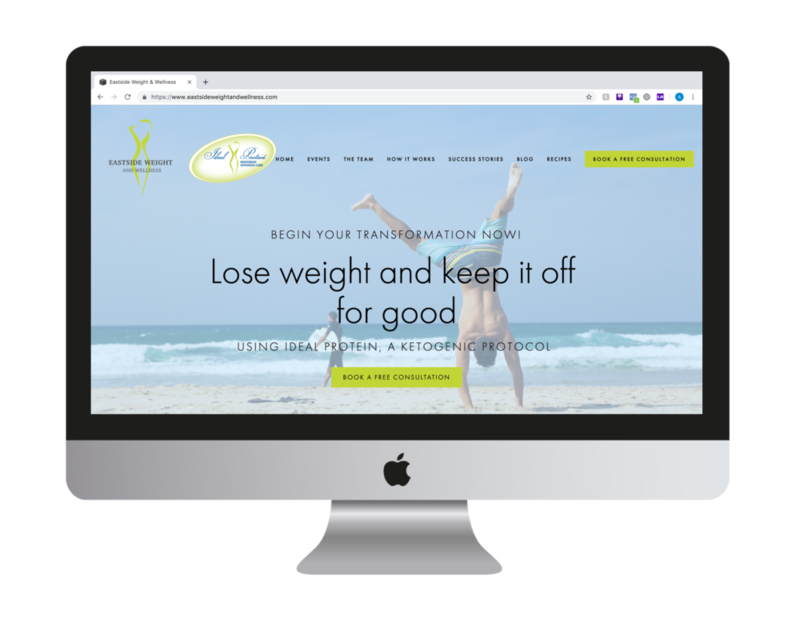 We additionally offer advertising services depending on location that will increase demand and generate new dieters for your clinic’s Ideal Protein practice. New website visitors take action and book consultations at an astonishing high rate. This is due to effective messaging, calls-to-action, proper design, and more. Our websites are elegant. Designs are simplistic, yet beautiful. We use a mix of the right colors, imagery, and overall layout structure. We get it done in a timely manner. The sooner your website is finished, the faster you can start making a return on your investment. Depending on your location, Product Blitz can help grow your business by driving traffic to your website using top advertising platforms like Google. You only pay us when a new dieter signs up on your program. We bill strictly on a commission basis, so that you only pay for our services when we get you results. This does not include ad spend. You’re able to achieve great results with little ad spend. This is because you’re only attracting visitors to your website that know what Ideal Protein is. And after we create you a high-converting website, many of those visitors will turn into consultations and then customers. The more dieters we help get you, the more organic referrals you’ll most likely get as result. This resembles a snowball effect that will help your business grow long-term. We’d be more than happy to chat with you to see if our services are the right fit for you.